– it is about the challenge to our understanding of individual works of art. As we can see from the very first page of Ulysses, modernism involves allusions which invoke the presence of conceptual or formal structures. We may not notice all of them, but may sense their echoes. These allusions provoke new ideas, and original techniques. And as can also be seen in Brecht’s opera, parody distances itself from the past. In Chapter 2, Butler moves on to discussing the way Modernists cooperated with each other. As Bill from The Australian Legend has pointed out in a comment Stead and Blake (Blech) were in the circle around Sylvia Beach’s bookshop (Joyce’s publisher). They read each other’s work and influenced each other. It sounds banal to describe it as writing group, but that’s what it was, albeit in the sophisticated café society of Paris rather than a suburban community centre or a university tute room somewhere. It must have been so exciting! So if you come across passages in Stead’s fiction which seem to have nothing to do with anything, it’s not you, it’s how it’s meant to be, but if you persist, re-read, make notes, talk about it with other people and let it percolate in the brain for a while, that underlying intellectual assumption of the author may make itself known. And if not, eventually you will read other texts which will make the light globe flash, but you need to be well read in the European canon for that to happen, because the great modernists (Pound, Eliot and Joyce) were self-consciously European although not European themselves. This is because the avant-garde were keen to make a complex point about the relationship of cultures across time, making something new out of traditions of the past. Although *sigh* Stead isn’t discussed in Modernism, a Very Short Introduction, I thought of her immediately when I read the section about modernists as cultural critics. Like those mentioned (Pound, Eliot, Wyndham Lewis, D.H. Lawrence and Aldous Huxley, Thomas Mann and André Gide (yes, all blokes though Woolf gets some pages to herself later on) Stead was marginal to the society in which she lived, following the 19th century dissenting anti-bourgeois tradition of Flaubert, Ibsen, Wilde and Freud and divorced from conventional political and religious constraints. (p.42) In both the novels I have most recently read Seven Poor Men of Sydney (see my review) and The Beauties and Furies (see my review) there is a clear critique of the economic system and the people who run it. In Chapter 4, ‘Modernism and Politics’ Butler shows how political critiques within modernism soon ran foul of totalitarian regimes, with tragic results. This is a really interesting little book: I thought I knew a bit about modernism but I realise now that I had not understood its intellectual underpinnings. 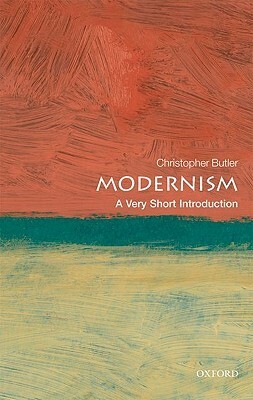 I have confined myself in this post to modernist literature, but Butler writes some really interesting stuff about modernism in the visual arts, and – together with the B&W images of the paintings he discusses and his descriptions of modernism in music (which I confess to mostly disliking) – these all come together to put me on the right track. I will in due course read his Postmodernism, a Very Short Introduction too. Available from Fishpond: Modernism: A Very Short Introduction (Very Short Introductions), (This series is incredibly cheap at only $12.47 here in Australia, with free delivery. Probably equally cheap from the online behemoth too). I will have to look for Modernism and Postmodernism. I actually recently picked up Existentialism. 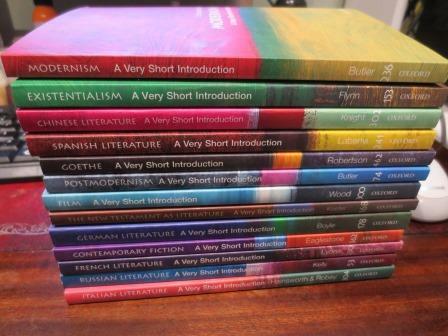 Even though I have a degree in Philosophy and many essential texts, I’m long out of university and there is something very nice about the way these little introductions condense the essentials and even serve as an ideal refresher. Yes, I agree: they seem to be pitched just right, both for people without an academic background in the topic, and as refreshers for those with expertise. In Stead’s Cotters’ England, which I have been working on, Stead doesn’t use stream of consciousness but seems to aim for a similar effect with the principal character, Nellie’s non-stop talk. Modernism is a great idea for a post – gives our musings some theoretical underpinning, and Australians have been very tentative in moving beyond it to postmodernism. There’s that non-stop extravagant talk in The Man Who Loved Children too, and maybe Stead was aiming for the same kind of effect i.e. getting to the essence of a person? Not as seen by others, from the outside, so to say, but the inner being…. A very short introduction to Film? To Contemporary Fiction? Wow, they seem like big asks. I can imagine something like Modernism or Goethe but these topics seem too huge to offer anything really meaningful, but I suppose they do.